DVD is still the choice of movie buffs for its high quality content. But the things with DVDs, as with all kind of optical media, are that they are pretty easy to damage; take up enormous amounts of space; are restricted sharply to play with DVD player or DVD drive. To avoid these, why not rip DVD to hard drive and keep the originals out of sight? Transferring DVD to hard drive will get rid of any DVD damages and scratches, save a great many of room space, get your DVD movies classified and above all allow you to watch DVD movies on Mac/PC, Apple TV, smart TV, iPhone iPad Android devices. Given this, the only issue comes with how to digitize DVD collections to hard drive. 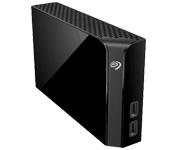 This article will show you an easy guide to copy and transfer DVD to NAS (network attached storage device), media server, USB drive SD card or any other external hard drive. Rip DVD to MP4, MOV, FLV, MKV, MP3, AAC or any digital formats, and iPhone iPad Android, iTunes, QuickTime, PS4, TV etc. for transferring to hard drive. Clone DVD to ISO image at 1:1 scale and copy DVD title to MPEG2 and MKV with all videos, audios and subtitles so that you are able to transfer DVD to media server, NAS, hard drive for handy playback on HD TV. Access to any types of DVD disc, including the recently released DVD movies, 99-title DVDs, TV series DVDs, workout DVDs, and other slightly damaged DVDs, with 100% success rate, no crash. Finish DVD ripping at a lightning speed with original quality, thanks to the Intel QSV hardware acceleration, multi-core CPU, and hyper-threading tech. Step 1: Load DVD Disc, VIDEO_TS Folder, or ISO image. 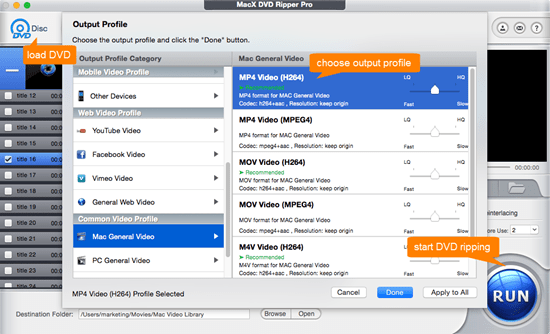 Free download the DVD ripper for Mac (or Windows if you're running a PC) and launch it. Insert DVD to drive and click "DVD Disc" icon to load your DVD files. Step 2: Select An Output Profile. 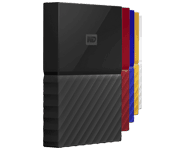 Choose any digital formats or profiles you desired to backup DVD to hard drive. With 350+ preset profiles, you're able to convert DVD to the internal hard drive of Macbook Pro/Air, PCs, iPhone iPad Android mobiles etc. for watching; or rip DVD to H.264, MP4, MOV, FLV, AVI etc to save DVD movies on external HDD like USB Drive, NAS, SD Card, Media Server etc. Step 3: Start DVD Ripping. Press "RUN" button to start ripping DVD to digital copy for transferring DVD to USB hard drive. The process will be accomplished 2-4 times faster than any other best DVD ripper for Mac if you enable Intel QSV hardware acceleration to rip DVD to H.264 codec on Mac. After the fast DVD ripping process, you can transfer DVD to Mac, iPhone iPad Android and Windows gadgets for limitlessly playback. But since most iOS users are tired of the clunky iTunes to transfer videos or any other media files, MacX MediaTrans provides a smarter way for file managing and transferring files on iOS. Note: The software developer calls for copying or ripping DVD to hard drive on Mac and Windows under the concept of Fair Use and does not encourage any illegal reproduction or distribution of copyrighted content. Please abide by the local DVD copyright law before doing it. Well, you got to know how to move DVD to external hard drive following the guide above. But if you don't have a great hard drive, you still cannot accomplish DVD to hard drive transfer smoothly. So here I'd like to share you the most popular external hard drives applied in different situations. Free up memory on your mobile device with a compact flash drive that can also plug into your computer without an adapter. This sleek, silver portable hard drive can match style and match pace with your Mac, connected with USB-C cable and USB adapter. This hard drive is an all-in-one backup solution, boasting immense storage capacity for your photos, movies, music, games and other files. 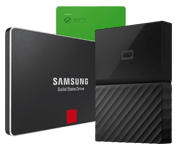 Easily expand your game library past the limited capacity in your PS4 or Xbox One with a hard drive. It boosts your game loading indeed. 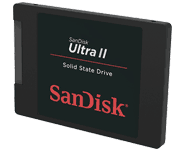 This solid state drive gives your laptop a performance boost with quick startup times, rapid data transfer and spacious storage. This compact, portable hard drive offers ample storage space at an affordable price, and stows away easily in your laptop bag or at your desk. MacX DVD Ripper Pro, the best DVD ripping software solves how to convert and transfer DVD to hard drive, media server, nas, USB flawlessly for a better storage or limitlessly watching on Apple TV, HD TV, Mac/Windows, iPhone iPad Android. For any questions with MacX DVD Ripper, please feel free to contact our support team.